3 Nights with breakfast at Crest Cafe overlooking the dunes, dolphin watch cruise and $30 voucher at Murrays. What do you get when you combine nature, gourmet food, crackling camp fires, a bush land setting and incredible sand dunes at your door with great value for your dollar?? Answer – A three night stay at The Retreat Port Stephens in a self-contained cabin. On arrival you will receive a great welcome bag consisting of a beanie each, marshmallows for toasting and hot chocolate to savour around the camp fire. You will also find two breakfast vouchers valued at $15 per person enabling you to have a delicious breakfast at Crest Birubi Beach which overlooks the sand dunes and the stunning Birubi Beach. We have also included a 1.5 hour dolphin cruise for two. Spend a morning or afternoon on Tamboi Queen cruising Port Stephens Bay whilst spotting dolphins with a complimentary tea or coffee available on board. And to top it all off, a Murrays Brewery voucher valued at $30.00 is yours to purchase food, beverages or merchandise at Murrays Brewery which is a short 10 minute drive from The Retreat. 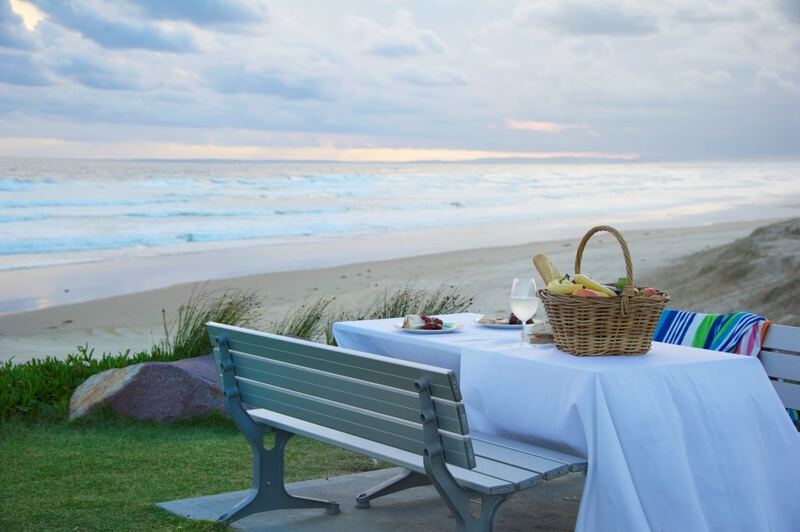 Enjoy an amazing l unch, craft beer tasting, Port Stephens winery sampling and brewery tour.